On Friday March 30, 2012, Federal District Judge William M. Conley struck down key provisions of Governor Scott Walker’s marquee legislation, WI Act 10, which stripped public workers across the State of Wisconsin of their right to collectively bargain. Although Judge Conley ruled that the State was within it’s right to deny public workers their bargaining rights, he enjoined the State from prohibiting the collection of dues, requiring yearly re-certifications of unions, and the mandate requiring that a majority of union members participate in elections. In an interesting twist of fate, Judge Conley cited “Citizens United v. Federal Election Commission” multiple times in his ruling. Citizens United is the controversial Supreme Court ruling that opened the floodgates of Corporate spending in U.S. elections. It also allowed the formation of Super PACs, 501(c)(4) non-profit corporations that can raise unlimited amounts of contributions to run “issue ads”. 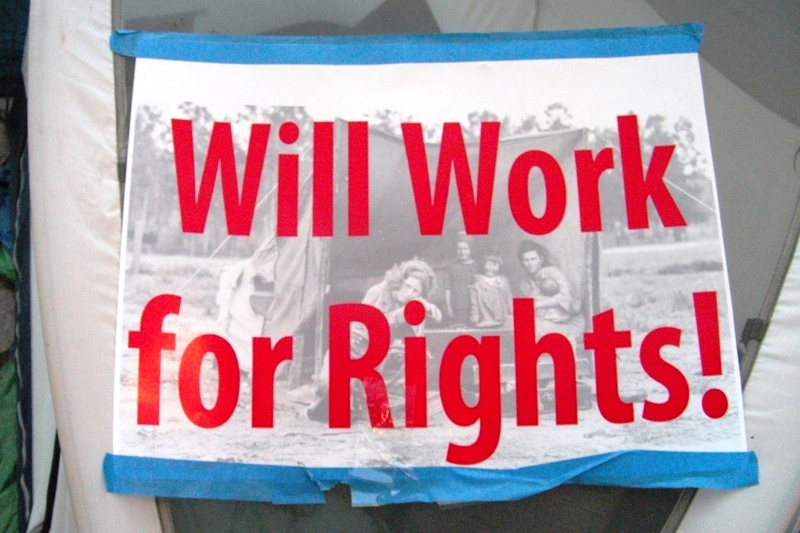 “…..unions engage — indeed, one of their core functions is to engage — in speech. See Citizens United v. Fed. Election Comm’n. 130 S. Ct. 876, 900 (2010) (“Corporations and other associations, like individuals, contribute to the discussion, debate and the dissemination of information and ideas that the First Amendment seeks to foster.”…….There is no dispute that the plaintiff unions engage in speech……This speech is not limited to the realm of politics, but also constitutes other forms of expressive activity….. Signaling their intent on appealing the ruling, Governor Walker’s spokesman Cullen Werwie said on Friday, “We are confident that the 7th Circuit Court of Appeals will continue to uphold the constitutionality of the law,” It will be interesting to see how the Administration argues against key provisions of the “Citizens United” ruling in their attempt to rehabilitate Act 10. 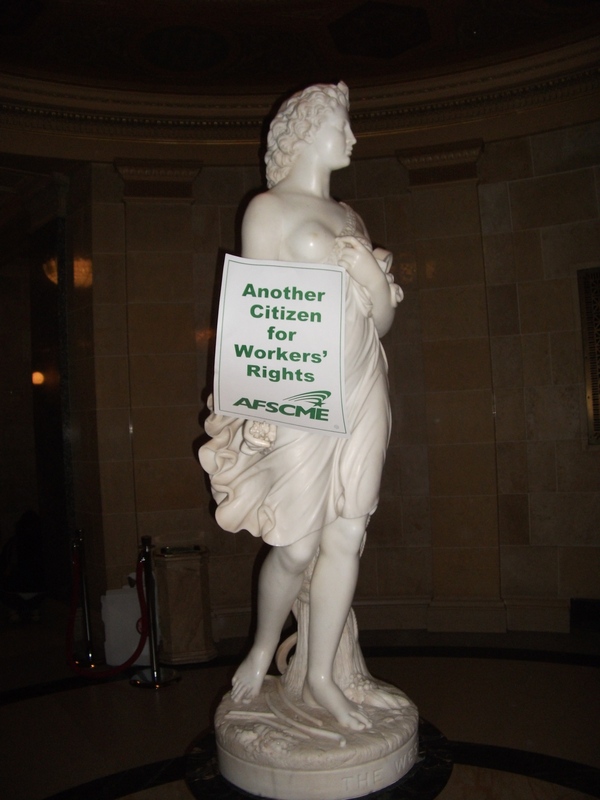 In the meantime, public employee unions in the State of Wisconsin have been given a reprieve from an almost certain demise, and are assured to exercise their political clout in the wake of recall elections set for June 5, when automatic due deductions are reinstated, no later than May 31, 2012. Ha ha ha ha ha ha. Walker Wins!